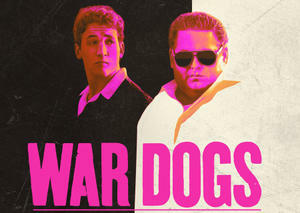 The Campus Activities Board will present “War Dogs” at 2:30 and 6:30 p.m. Thursday, Nov. 3, in Billingsly Student Center’s Phelps Theatre. Miles Teller and Jonah Hill star in this docudrama about two young arms dealers who win a $300 million contract to supply weaponry to U.S. forces in Afghanistan. The film is rated R.
The screening is open to the campus community. Free candy and drinks will be provided.